I hope everyone enjoyed their Thanksgiving break! I enjoyed mine so much that I didn't get the newsletter out on Sunday like I usually do! :) I appreciate your patience this week! 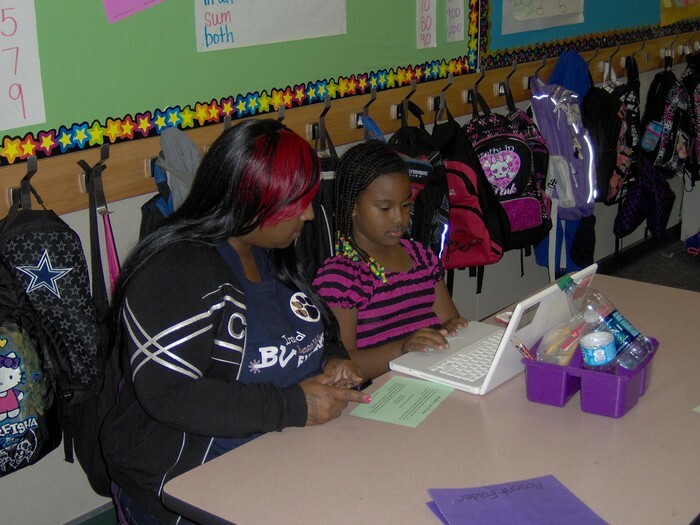 I was also behind today in getting Homework Folders to the students! There was an issue after recess that I was dealing with, and it completely slipped my mind! The students' folders are already on their tables, ready to be put in their backpacks on Tuesday morning! 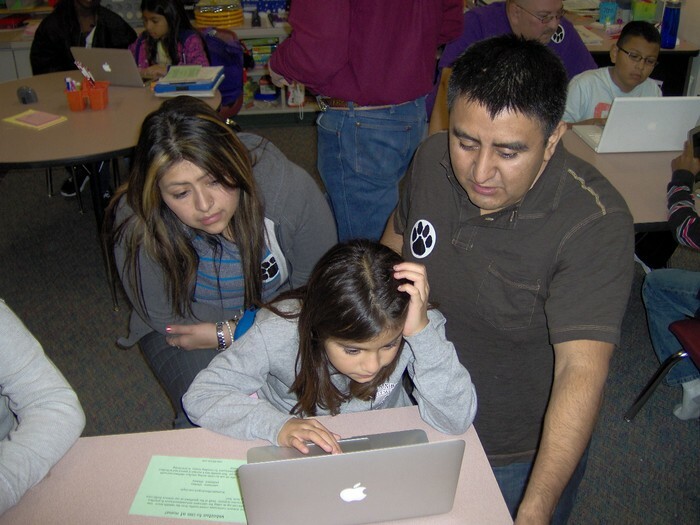 As promised, here are some pictures from our parent involvement activity on November 15th! Each of the students was given a sheet to take home with the website addresses and log-in information for the two websites we used during the activity. Please let me know if you want me to send another one home with your child! 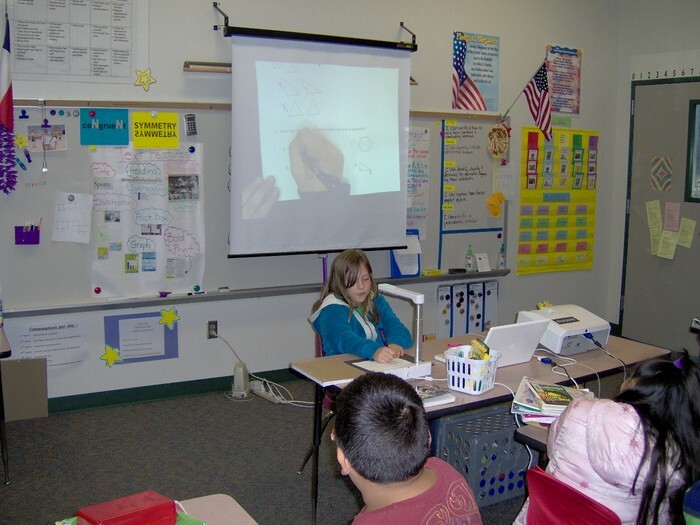 Brandy using the document camera to teach the class a math problem! 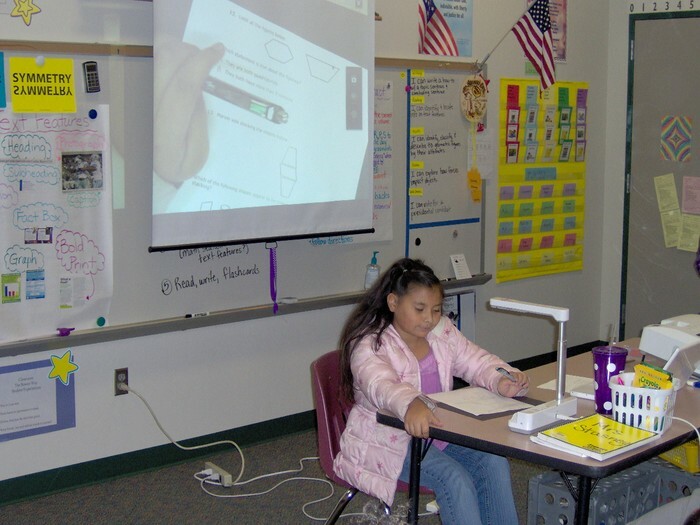 Cellie using the document camera to teach the class a math problem! 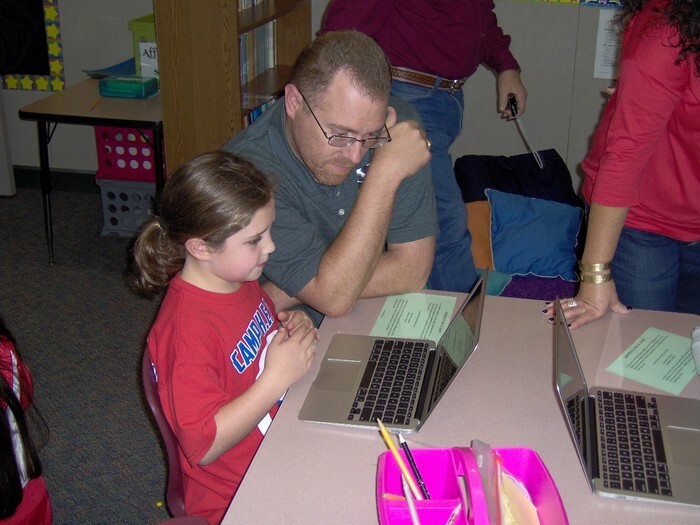 The third grade teachers have been working on planning a field trip to the Bush Library for a guided tour of the museum and to attend a presentation called, "A Heritage of Why Saving $ Matters to You!" This is an interactive program about saving money and tells about Benjamin Franklin's role in the development of using paper money as well as gives ideas about saving wisely. We are awaiting final approval for the field trip, and we hope to send home permission slips in Tuesday Folders this week! We also may need a few chaperones to attend with us...Information about this will be with the permission slip! -Math CUA: Friday, November 30th (The CUA will be on reading a clock/time, reading a thermometer, and using a ruler to measure length).